Since my last post, we actually just had another snowfall~~this time with 10 1/2″ of the fluffy white stuff! So………I was forced to slow down once again and just embrace it……..no power for a few days………no machines or computers to do studio work……….no television or radio (well, a bit of music from my smartphone! )……….but it was a gift of time to focus and catch up on other things. and what I call “nature’s art“. If You also would like to be part of this group of Art Lovers, Art Collectors, and Creatives in Life and regularly receive the” From the Studio” NewsNotes be sure to Sign-Up Here now! .…… Receive 1st glimpses of new art, the inspirations and stories behind my pieces, the events and happenings, Bonuses and Giveaways, and a regular Creativity IDEA to try, for adding more creativity to your life and work! From the Studio~First “Studio Printing Day”! Yes, I’m late in sharing my favorite Thanksgiving Photo, but this was just a wonderfully, creative Pumpkin Pie at our Family’s Reunion! Yesterday was an exciting day here in the Studio~~The Art Shop on the Studio’s Website was Launched! Today I want to “Get the Word Out” that tomorrow, Friday 8th, will be our 1st “Studio Printing Day” for creating the open edition, archival art reproduction prints, I am now offering. See the available Designs here in the Art Shop, place your order, and be a part of tomorrow’s event! Order now for shipping and arrival before Christmas Day, December 25th! December 11th is last day for orders to arrive in time for Christmas. Orders Dec. 12th and after, will be shipped but may not arrive by the 25th. Creativity IDEA~~This is the time of colorful art scenes, exciting music, and creative decorations everywhere! Do 1 New thing for the Christmas and Holidays season~~Make a new kind of yummy candy? Go to a children’s music concert? or Visit a community tree decorating contest? *10 Somethings to Try, Adding More Creativity to Life! is a free Gift when you Sign-Up for our Studio NewsNotes, sent regularly by email! From the Studio~~New Art Shop Launched! Our New on-line Shop is Launched!! Visit and look at the Art Prints & Originals being offered! Joni Beach Studio Art Shop with Big Cartel! Art Lovers, Art Collectors, and Creatives of Life, please visit and view what’s new in the Shop! 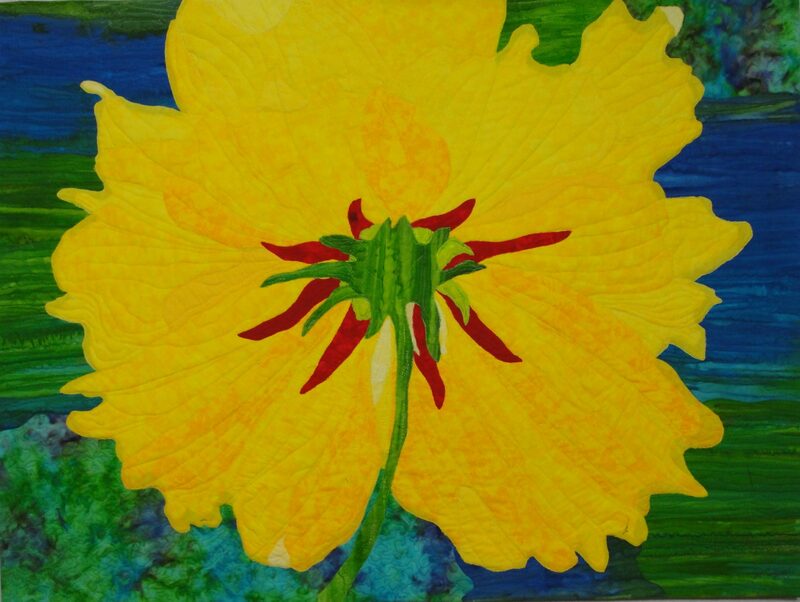 You will find high quality, archival, Art Reproduction Prints of select Original Art Quilts. Order now, the Studio’s first “Printing Day” is this week! Fractured Fish #2 (2017), Original Art Quilt, Rayon and metallic on cotton. © Joni Beach. When I had a local ArtWalk exhibit a few years ago, a small art quilt called Fractured Fish #1 was popular with many people! And several Art Prints have been made of this design for Collectors. For the 2nd in the series, similar batik fabrics were used to create a vivid colored, watery ocean scene, but this time with a cool toned purple on a warmer toned background. An abstract fish swims among the swirling colors in the ocean’s depths and even has iridescent bubbles floating to the surface! There is also a wonderful, fun Christmas art quilt, Santa’s Nighttime Trek, available in time for the Holidays~~Add it to your Art Collection or give as a unique gift to Someone Special! “Santa’s Nighttime Trek” on Exhibit! For More Information on Both of these Original Art Quilts, visit Art Shop!